Fall is coming! At least we have been promised it is coming. We are still seeing a lot of record-breaking heat wave days here on the west coast, but we have that cool crisp morning and evening air coming in which can only mean one thing — FALL IS COMING!! So of course that means we should break out all things fall. Halloween decorations, autumn themed decorations, boots, jeans, and long-sleeve shirts!! My boys do not have a lot of long-sleeve looks right now. Over the last year they have grown so much that everything is too short! We have a lot of hand-me-downs thanks to a cousin that is a year older than my youngest, so we get a lot of clothes that way. However, as goes the way of hand-me-downs most of the really fabulous and special stuff is kept for nostalgia. This means we don’t get some of the fancier dressy looking items that my boys will need for the holidays and big events coming up. The Boy’s Store has a great line — Ben Sherman — that always has some fantastic dressy-casual looks that are perfect for fall weather and holiday events. Right now they are even priced out at only $9 each!! So I am running to get a few items that will satiate my fall look hunger and keep us prepared for the holidays coming up. Plaid Button Down Shirt by Ben Sherman: This decorative rolled sleeve blue plaid button down is perfect for fall weather. 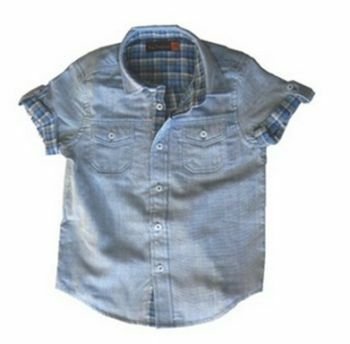 It has that crisp outdoor rugged yet handsome style that will make even the smallest little man loo like a mini-grown up. It can be paired with jeans, corduroy, slacks, you name it! Dress it up or keep it casual, you cannot go wrong with plaid in the fall. Batiste Shirt by Ben Sherman: This decorative rolled shirt is denim on the outside and plaid lined. It really makes the shirt feel very sophisticated yet rugged and comfortable all at the same time. Pair it with whatever pants you want and make it the look that screams cool. Striped Button Down Shirt by Ben Sherman: This dark button down leans more towards dressy than casual, but can still be worn either way. It will look great in photos and would make a great chose for a school photo day or for family photos! 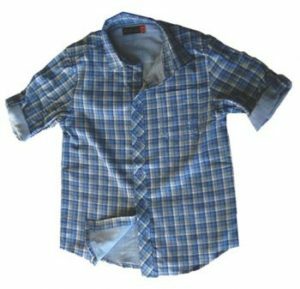 This entry was posted in boys clothing, Brand News and tagged Ben Sherman, boys button down shirts, boys clothing, boys fall style, boys long sleeve shirts, boys shirts, boys style, brand, the boys store on September 10, 2018 by Lacy.